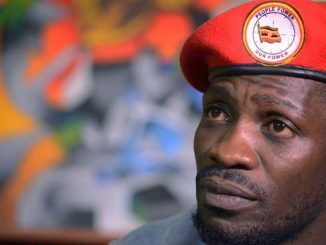 After President Museveni criticized the military action on Libya earlier this week, it appears that Uganda will comply with the United Nations Resolution regarding the freezing of all funds and assets owned or controlled by President Muammar Gaddafi’s regime. State Minister for International Cooperation Henry Okello Oryem told members of parliament that the government has written to the UN Secretary General, Ban Ki Moon over the modalities of complying with the resolution. Okello’s revelation followed MPs asking him to specify the government’s action on the UN resolution. The Libyan assets in Uganda include 69 per cent shareholding in Uganda Telecom, 49 per cent ownership in National Housing and Construction Corporation and undisclosed shares in Tamoil. The government’s decision comes a few days after President Yoweri Museveni criticized the members of the Security Council who voted in support of imposing a no-fly-zone over Libya that resulted in military action. Museveni accused the members of double standards warning that the habit of the Western countries using their superiority in technology to impose war on less developed countries “without impeachable logic” will ignite an arms race in the world. “The actions of the Western countries in Iraq and now Libya are emphasizing that might is ‘right.’ I am quite sure that many countries that are able will scale up their military research and in a few decades we may have a more armed world,” Museveni said in his statement. In the nine-page statement, the President accused the West of hastily imposing a ‘no-fly zone’ on Libya yet it has dragged its feet on the Africa Union request for the same over Somalia. “We have been appealing to the UN to impose a no-fly zone over Somalia so as to impede the free movement of terrorists, linked to Al-Qaeda that killed Americans on September 11, killed Ugandans last July and have caused so much damage to the Somalis, without success. Why?” the President asked. Museveni also accused the West of looking on as a Libya-like crisis evolves in Bahrain. 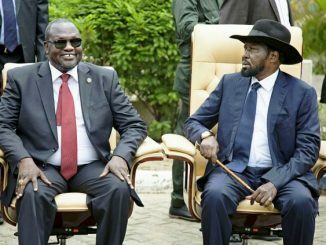 The President said despite Gadaffi’s past mistakes that included supporting Ugandan dictator Idi Amin, trying to bulldoze the AU and meddling in internal affairs of several countries using cultural leaders, he is an independent minded nationalist who has developed his country to middle income and refused to become a Western puppet. “Muammar Gaddafi, whatever his faults, is a true nationalist. I prefer nationalists to puppets of foreign interests. Where have the puppets caused the transformation of countries?,” said Museveni. 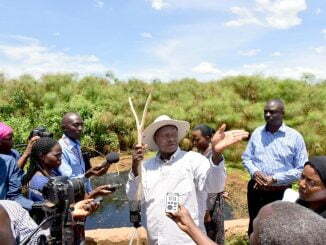 However, soon after President Museveni’s criticism to the Western countries, some local politicians in the opposition attacked him saying he was being hypocritical and contradictory adding that he does the exactly the opposite of what he says. 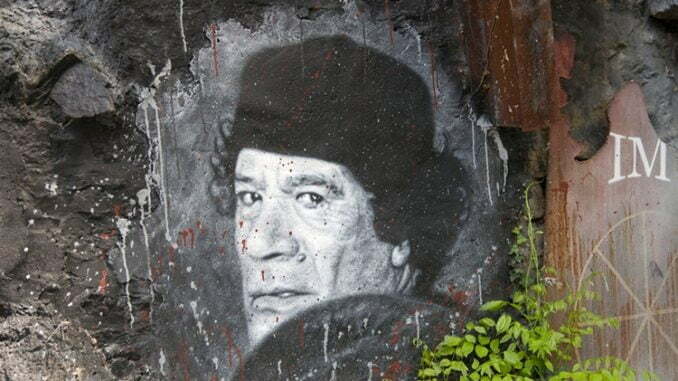 The UN imposed a ‘no-fly zone’ on Libya last week and over the weekend, France, UK, Canada, US and Denmark launched aerial attacks on military targets and bases in Libya, arguing that they are intended to halt Col. Muammar Gaddafi loyalists from killing civilians. However, despite the no-fly-zone and aerial attacks, Col. Gaddafi has vowed to fight on. In a live television broadcast, the first public appearance since the air strikes began, Gaddafi told his supporters that he will not surrender. “We will defeat them buy any means…We are ready for the fight, whether it will be a short one or a long one. We will be victorious in the end. This assault… is by a bunch of fascists who will end in the dustbin of history,” he said.